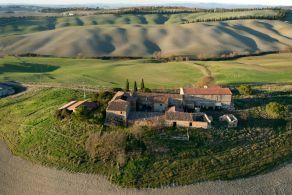 Borgo di Cecco is situated in one of Tuscany’s most beautiful areas, the Crete Senesi, halfway between Trequanda (4 km) and San Giovanni d’Asso (10 km). 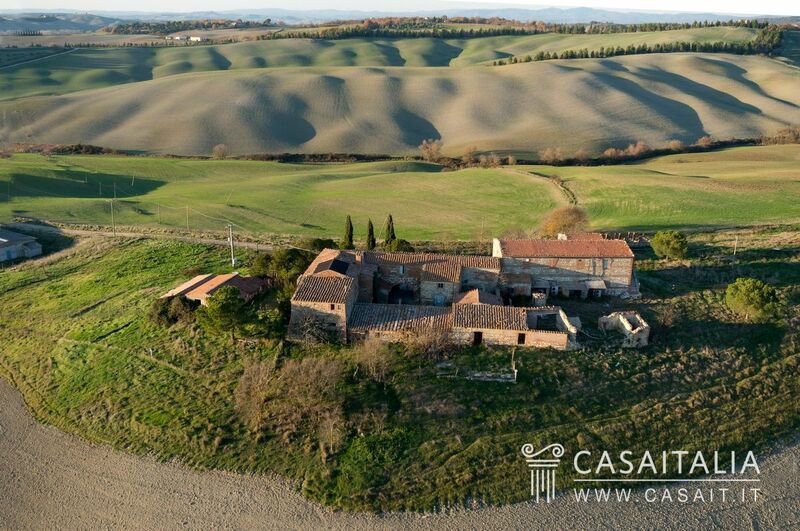 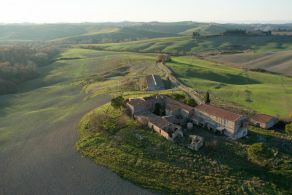 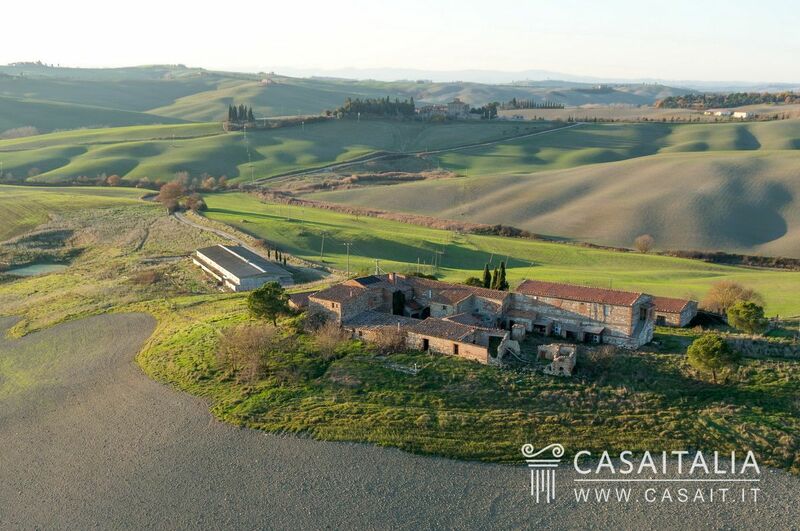 The location is panoramic, with a magnificent view over the attractive rolling hills, and is central in relation to some of the region’s major historic centres: San Giovanni d’Asso (10 km) and Pienza (22 km) are less than 20 minutes away, while Montepulciano (25 km), San Quirico d’Orcia (30 km), Montalcino (30 km) and Siena (41 km) are a little over half an hour’s drive away. 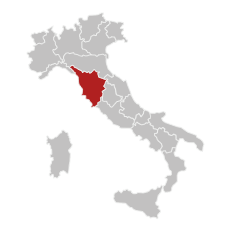 Florence is 110 km away (an hour and a half’s drive) and its airport is 125 km away, while Perugia airport is 86 km away (an hour and 15 minutes’ drive). 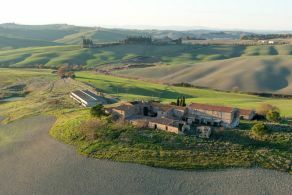 Rome Ciampino and Rome Fiumicino airports are 230 km and 213 km away respectively. 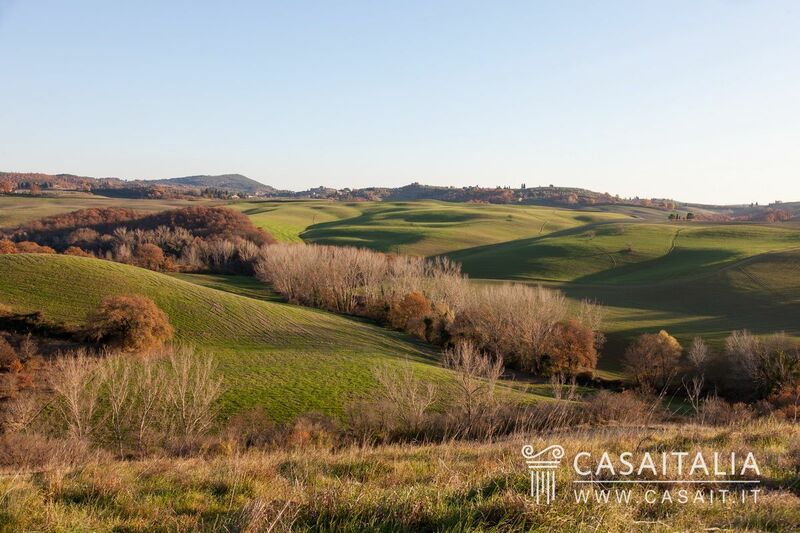 Also included in the sale is around 5 hectares of private land, with the chance to purchase more land up to 75 hectares in total. 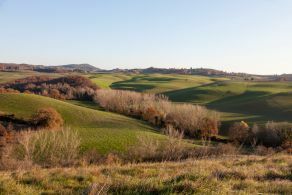 The land included in the sale measures around 5 hectares. 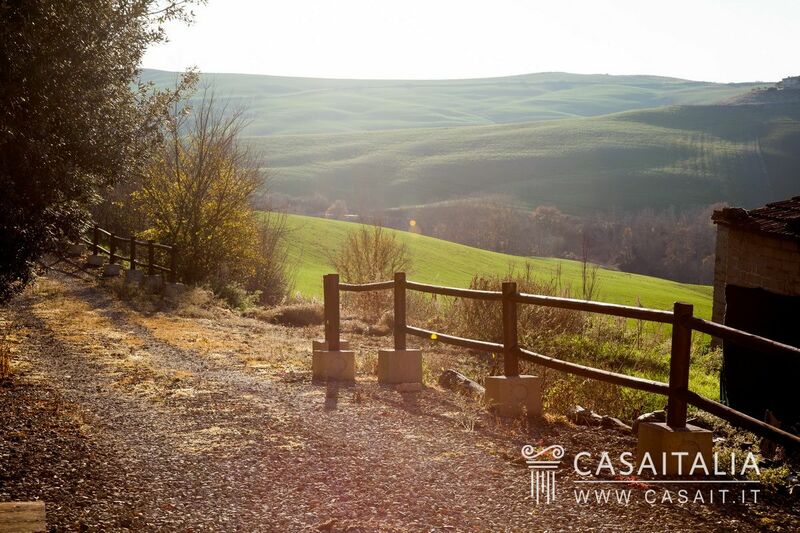 If desired, it is possible to purchase more land, up to a maximum of 75 hectares, all integrated with the property. 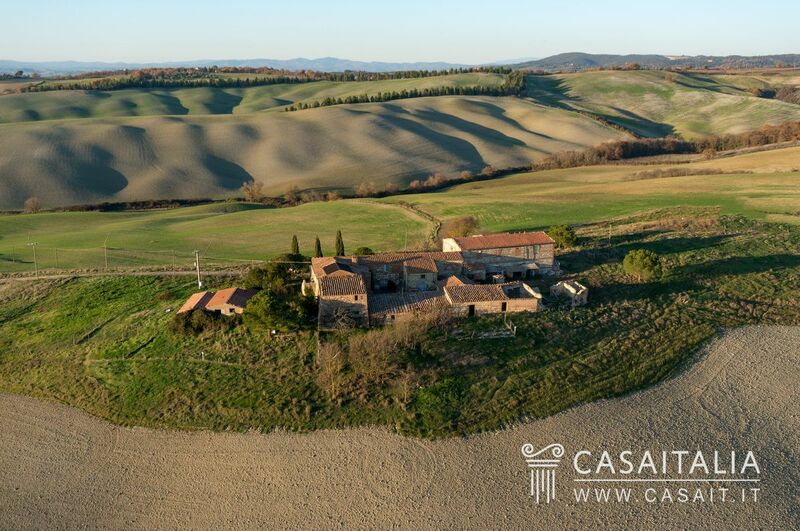 Borgo di Cecco is ideal for those dreaming of purchasing a country house in one of Tuscany’s most famous areas, restoring it according to your own tastes and requirements and building yourself a guest house, or an agricultural business. 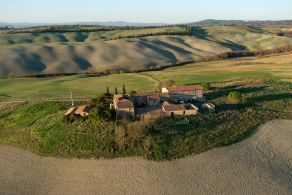 Panoramic ranch with view of Todi, with vineyard and olive grove. 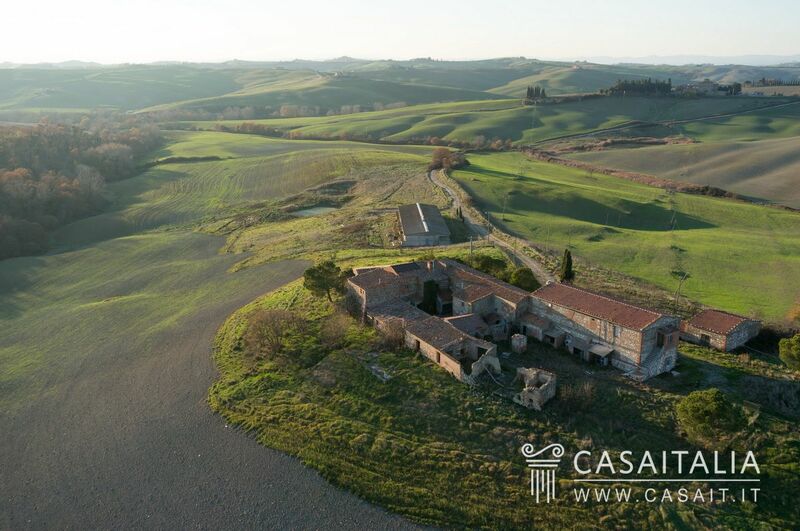 Country house requiring restoration with 26 hectares of land.